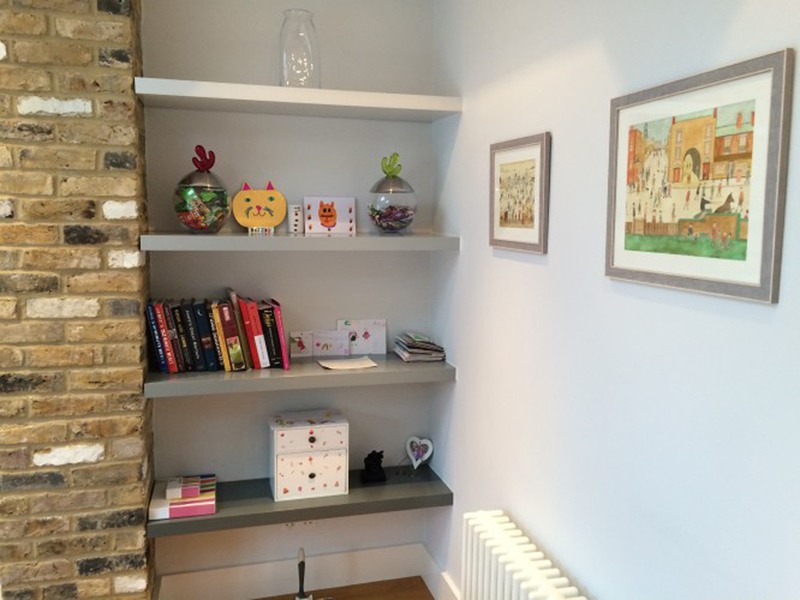 Paintable Floating Shelves made to measure for alcoves and walls. Buy online, free UK delivery. To obtain an instant quote, first of all, fill out the boxes below with your desired measurements, then click on, Show Price. The price includes brackets, delivery and vat. No hidden charges! Maybe you are not sure of the sizes of the shelves you need or require shelving advice, feel free contact us on 01708 687 335. We will be able to help. To ensure a perfect surface for you to paint. We Sand them to a smooth finish ready for you to paint. Paintable Floating shelves will be extra strong and can support weights of up to 50kg. standard screw type brackets plasterboard brackets rebar brackets What Type Do I Need? Supplied with standard screw type hidden brackets. Total: 66.88 Including VAT & Delivery. 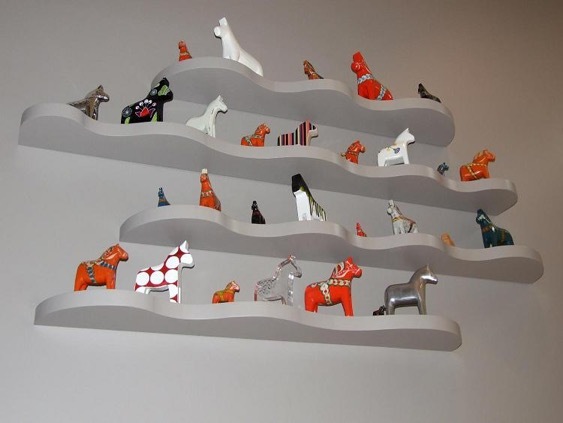 We can supply our paintable floating shelves to London, the UK and abroad. The self paint shelves is suitable for all kinds of applications. Create custom-made desks, bookshelves, mantelpieces and more! 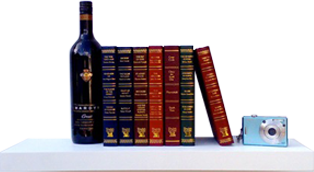 "Very happy with my shelves thank you, happy to provide a photo "
"We found the team to be personable, professional and above all, Bepoke Nature delivered with a quality product which met our specific requirements. " "The floating shelves we ordered were a combination of both short and longer units. This was not a problem for Phillip, who provided an excellent ser "